Burlington, Ontario Canada continues to grow along with neighboring Oakville. In general, Halton Region is one of the fastest growing and also one of the safest areas in the Greater Toronto Area (GTA). This spring the town offers swimming, summer camps, activities for kids and teens as well as music and student theatre. Get the current Live and Play guide here. You will find lots to do this summer in this recreation and leisure guide. It has been a tough winter this year in Southern Ontario (and much of the Northeast), so its now time to get out and play. Little kids will love the new splashpads at the Millcroft Community Park. There are other splashpads at Norton, Nelson, Mountainside and Spencer Smith. Get involved in organized sports outdoors or do something cultural this summer. If it gets too hot, stop by the Burlington public library. Trip to the Shaw to see Philadelphia Story, Looking Behind the Curtain while Burlington Student Theatre prepares for a Disney production, Meet the Geeks from Best Buy’s Geek Squad and much more. MoneySense Magazine has called Burlington, Ontario top ratings for factors such as “mild weather, low unemployment, low crime, high incomes and even a thriving arts community”. There are wonderful things to do in Burlington, on the shores of Lake Ontario. There are often free music concerts at the park by the lake. Beachway Park offers beautiful white sands. 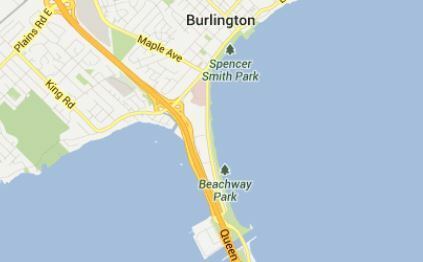 Beachway Park is off of Lakeshore Road in Burlington and near the QEW. There is also the Waterfront trail nearby. The Beachway Park Hotline (recorded information) 905-634-7263 (905-634-SAND): June-September (water quality conditions at beaches) tells about current conditions. December-March (ice conditions at Rotary Centennial Pond). West of Brant on the QEW heading toward Niagara, there are also some waterfront activities so you can call City of Burlington Festivals and Events hotline at 905 335-7766 for details. Lowville Park is also a nice place and is on the other side of Burlington alongside Bronte Creek at 6207 Guelph Line, Burlington, ON. Catch the salmon swimming upstream in Bronte Creek (seasonal). You can ride along the Waterfront trail by bike and enjoy all the area has to offer. Stop off for a picnic or at one of the lakeside dining establishments. Stop in Easterbrook’s for traditional foot long hot dogs or get some of the best ribs at Canada’s Largest Ribfest (Aug. 30 – Sept. 2, 2013). Stroll through Spencer Smith Park and enjoy the winter Festival of Lights. If you need more tips, you can stop by the visitor information center at 414 Locust Street. If you are moving to Burlington and need a mortgage for your new home, contact us for a local mortgage agent or broker that can help you save money on lower rates and also help you with the application process at no cost to you. Burlington and Oakville were voted best places to live in Canada for mid-sized cities. They were also voted Best City in Canada for Immigrants. Calgary was also a winner in this category. It is noted that Vancouver did not make the list. Weather, jobs and infrastructure are some of the most important components of making a place desirable. A low crime rate, good schools and support for families is also extremely important. It seems the GTA has alot of these things going for it. Cultural activities are also important so some communities received points for engaging local citizenry in the arts and in an active lifestyle with sports. MoneySense had a slightly different twist on their poll and had Burlington in 3rd place and Oakville in 5th. No matter whose poll you look at though, we can be proud that Burlington and Oakville are usually listed near the top. A first time home buyer can benefit from the experience of a local mortgage broker who knows about the first time home buying process and lenders that accomodate that. A first time home buyer has so much on their mind. If the home is new, they need to monitor the construction and select all of the options from tile, wood flooring, bath fixtures and accessories as well as layout customization and upgrades. The combination of new home construction and first time home buying can be daunting. Other times, a first time home buyer is buying a condo or townhouse and wants to benefit from home ownership. There are some pitfalls to the mortgage and borrowing process that need to be avoided, as every 1/4 point in additional interest may translate into thousands of dollars over the life of the loan. Why just hand over your hard earned money to banks when a mortage broker can help you more thoroughly investigate the borrowing options across multiple lenders at no cost to the borrower without needing multiple applications completed. Only one credit report is pulled, but the borrower has the benefit of knowing their loan is being shopped across many lenders that compete for their business. 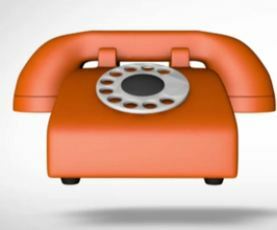 This is the way to obtain the best rates and also best terms for your particular situation and needs. If you are buying a home for the first time in Ontario, Canada, call Lee Anne Taylor of Home Loans Ontario, Burlington – a Dominion Lending Centres mortgage agent. If you are new to Canada, getting the help of an established mortgage broker that knows how to help new landed immigrants is going to help you get financing sooner and possibly qualify for better rates. If you still need help in becoming an immigrant to Canada, Click Here! Once you have all your immigration documentation in order and are ready to find a home, getting prequalified is going to make shopping for the home more enjoyable as sellers will take your offer more seriously and you will also be able to search for homes that meet your pricing requirements. If you want to wheel and deal, you can check out the Canada foreclosure listings here: Click Here for Canada Foreclosures! A new immigrant mortgage in Canada does not mean you can’t qualify for the best rates, you just need to be in contact with a mortgage broker who knows whom you can qualify with. Your experience and income as a professional, a self-employed individual, corporate employee or trades person will count. The consultation should be made by phone before you even arrive in Canada to help you gather all the necessary documents in your country of departure. Typically residents to Ontario Canada may arrive from many countries around the world including the U.K., India, Germany, China, Australia, Phillipines, the U.S. or other countries. A good mortgage agent can help consult you with setting up your credit and establishing Canadian credit upon landing in Canada. A bank reference from your country may also help you qualify. The first year is the most difficult after arriving in Canada until you can establish Canadian credit, but that does not need to hold you back if you need to qualify for a mortgage so you can buy a house as soon as you land in Canada. For expert consultation, call Claire at the Mortgage Medics to help you. She has helped immigrants from the U.K. and many other countries land successfully in Canada and obtain the right financing as she herself was at one time a U.K. immigrant to Canada. The home prices in the States have slowly eroded over the past five years. Some areas in hard hit states like Florida, Arizona, Nevada and other areas of the country that had witnessed rapid building expansion back when credit was loose, seem like they are starting to get near bottom. A recent report by BMO Economics suggests that the inventory overhang is more under control as prices stabilize. They go as far as to suggest there is pent-up demand, although many of the “Robo-Signing” document disputes are causing a large amount of homes to remain in bank ownership and not on the open market. It seems banks in the states are making an effort to reorganize the debt with the homeowner or within the investment community instead of large scale releases of homes that could depress hom prices even further. The BMO report suggests the U.S. housing market is still soft, but think the prices will stabilize in 2013. It is easy to say that demand should improve on firmer job growth, but that job growth has yet to be seen. Current projections still have the U.S. unemployment rate at around 8% by the end of the year, hardly a glowing outlook. 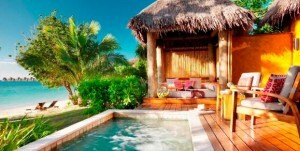 Nearly 15 percent of Canadians would indeed consider buying a home in the States with about half of those citing the reason would be a second home or vacation property. There is also an affordability factor and of course a long-term investment that is alluring. Of course that is BMO pushing their own Canadian based banks south of the border to take advantage of any Canadians interested in U.S. home ownership. One thing seems for certain though, the investment should be made for the long haul as it is yet too early to predict a solid near-term recovery for the U.S. housing market. A mortgage in Milton Ontario can now be obtained at near record low interest rates. Even the fixed rates have come down significantly. Financial authorities are calling for higher rates in the future, but exactly when rates will begin to nudge upwards is anyone’s guess. Meanwhile if you are looking for a Milton mortgage, you can get the expertise of a local mortgage broker that understands the Burlington – Milton – Hamilton real estate market and can find you a lender that is right for your particular situation. Whether a refinance is needed, or you are purchasing your first home, enlisting the help of a local qualified mortgage broker can really save thousands of dollars over the life of the loan vs. just letting the big banks handle it at less than optimal rates. Lately the CIBC, RBC and Scotiabank have all started to lower rates as well since they were feeling the competition of independant lenders and other institutions. Still your best bet for a mortgage in Milton is to get the help of a mortgage broker who can shop dozens of potential lenders for you and at no cost to you. Visit http://www.firstclassmortgages.com for details on getting the best terms and rates for your Milton mortgage. Need to refinance or get a mortgage in Brantford or around the Greater Toronto Area? The Mortgage Medics serve all of Southern Ontario and are specialists in helping individuals navigate the latest changes in mortgage rules to qualify for the best possible mortgage rates. With historically low mortgage rates, the Mortgage Medics team has access to over 100 lenders to find the best mortage rates at no cost to the borrower. Visit mortgagemedics.ca for more information.